The average price for this game in the past 6 months is $4.66. The game first became 50% off on Aug 31, 2014 at Amazon. Lowest historic price was $4.39 on Mar 30, 2018 at Fanatical. Bound by Flame hits an all new low today in Games Planet's Summer Sale. Looks like 4.99 in British Pounds but you can buy in the US with a credit card and pay $7.81 - the lowest price ever. Deal valid for 24 hours. Bound by Flame only a few pennies off its all time low this weekend at GMG after a new coupon + instant savings discount. Previous low was $9.99 back in December during the PC gaming winter sales, but since then it's been at the usual $39.99 MSRP. Last month's released RPG Bound by Flame just turned up 25% off at GamersGate. Lowest price since its May 9th launch date. What's this? An early release for Bound by Flame? That's right - the game launched around 2pm Eastern today - a day ahead of schedule. Unfortunately it lost its instant savings discount at Green Man Gaming, but there's still a 25% off coupon code lowering the price to $30, or $10 off the $40 MSRP. Bound By Flame will probably end of being the hot item of the day. Its release date got bumped up a day early and will launch around 2pm Eastern. Green Man Gaming had a good offer w/ a 25% coupon, but they've run out of stock. 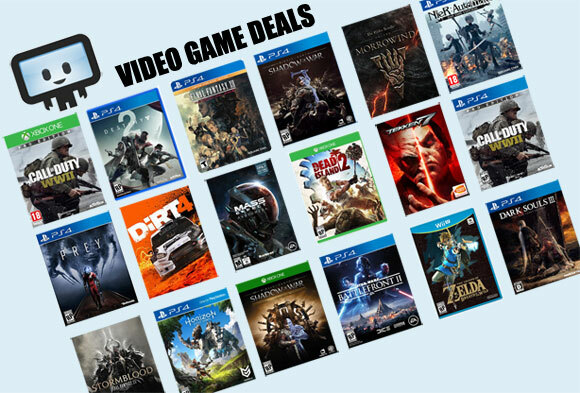 The next best alternative is GameFly, where they still have the 15% instant discount AND a stacking 20% off coupon. The instant savings will likely disappear once the game releases raising the price to $32 after coupon. The average price for this game since released is $24.88. The game first became 50% off on Oct 15, 2014 at GameFly. Lowest historic price was $4.99 on Jan 19, 2018 at PlayStation Store. Not even a year old and a brand new copy of Bound By Flame on the PS4 is down to $18 today at Best Buy. Lowest price ever by $2. Free store pickup or free shipping if your total order is $35 and up. Best price yet on the May released Bound by Flame on PS4. Today Bets Buy dropped the price $15 to $35 with free ship - a new low by $5. It's no Skyrim, but some claim this is an underrated RPG. Interested in the upcoming May 8th release Bound by Flame? The PS4, Xbox 360, and PS3 console versions all have a $5 off pre-order coupon code at NewEgg. Probably as cheap as we'll find it for console prior to release. The average price for this game since released is $20.91. The game first became 50% off on Mar 10, 2015 at GameFly. Lowest historic price was $7.49 on Aug 23, 2016 at . The average price for this game since released is $19.78. The game first became 50% off on Feb 10, 2015 at GameFly. Lowest historic price was $8.99 on Mar 10, 2015 at GameFly.